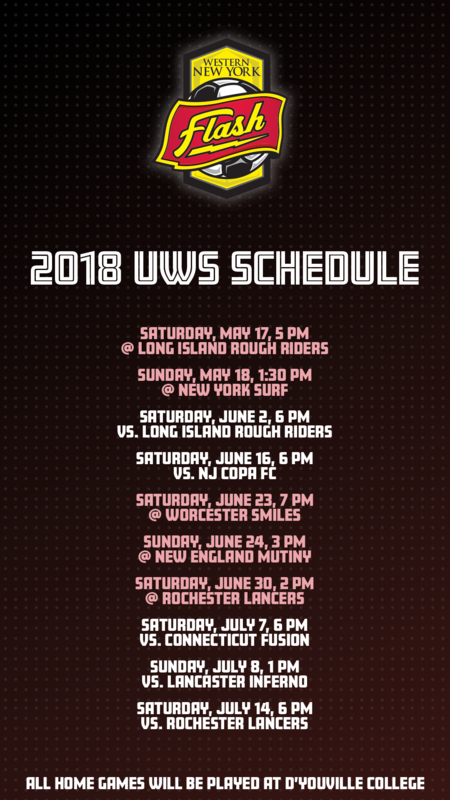 BUFFALO, NY (March 22, 2018) --- The Western New York Flash has released their ten-game schedule for the 2018 season in United Women's Soccer. The team will play all of their home games at Dobson Field at D'Youville College. "Having the Western New York Flash at Dobson Field this summer is a great opportunity for D'Youville College and the entire West Side Community," D'Youville Women's Soccer head coach Jim Hesch said. "I am looking forward to working with everyone at the Flash to help make all home games a great event."